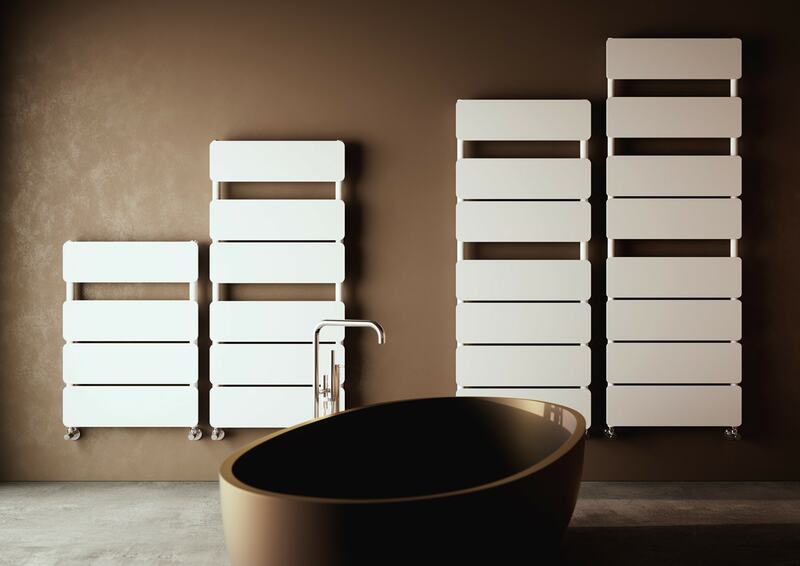 Opra is the new line of radiators that has been specifically researched and developed by Hotech for the contract sector, resorting to expert designers in this sector. Simple and light shapes for a design radiator that reflects modern style trends, reducing dimensions and optimising space, in those cases in which measurements constitute a strict constraint in terms of design. Opra is the functional alternative to the traditional heated towel rail; a 100% Made-in-Italy solution that represents the state of the art in terms of design, price and innovation. With this product, Hotech offer a ‘customisable contract’, which turns flexibility into a winning formula; upon the customer’s request, Opra can be made with variable dimensions and distances between centres, so that it can be adapted to any arrangement or replace the existing heaters, without having to modify the installation or the hydraulic connections. Customisation is obviously also related to the aesthetic aspect, and Hotech can meet all customers’ needs to create unique, long-lasting design products of great value; all this can be achieved thanks to the unlimited range of colours, finishes and accessories that can be applied to the object. Attention to detail is essential in a quality product; logos, inscriptions, drawings and patterns can be reproduced by means of engraving on the radiant surface of the radiator, so as to leave an indelible signature and exalt the beauty and personality of interiors. Available in electrical and hydraulic versions, Opra models – which are compact, powerful and sumptuous – can be optimally applied as radiators for high-level yachts and vessels. Not only offices, hotels and shops; the discreet and refined charm of the Opra line of radiators also conquers private customers who are searching for a modern and functional radiator.